This weekend, I ran across this unique presentation that attempts to visualize the U.S. National Debt through stacks of $100 bills. In the Building True Wealth Financial Seminar that my team and I take on the road, I have used a similar presentation. However, this newer presentation has much better graphics than the version that I have been using. You can view the U.S. Debt Visualized here. You can also view my favorite online U.S. debt clock here. (But be careful. This site may make you want to reach for the Prozac.) But seriously, anyone who is fascinated by numbers (very big numbers) will enjoy this site. The U.S. National Debt is growing at an exponential rate. As of this writing, our current total national debt is $14.56 trillion! While that number may sound staggering, it does not include our country's future financial obligations that have been promised through our various entitlement programs. 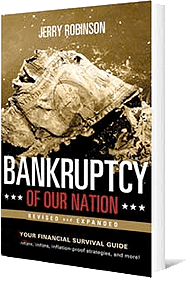 And consider this: At the end of 2008, when I was putting the finishing touches on my book, Bankruptcy of our Nation, the national debt stood at $10.6 trillion. In just three short years, the national debt jumped by nearly $4 trillion! Friends, our nation has a severe spending problem and it is careening out of control. The smartest thing that you can do right now is take control of your own financial life. How can you do that? 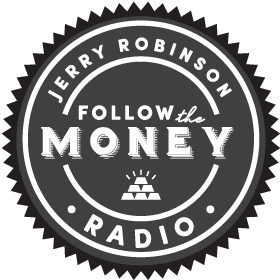 By getting financially educated and then taking action. A great place to start is with our Five Levels of Financial Freedom. You can learn more about those here.